One of my favourite things about Saturday mornings is that they are full of possibility. The weekend has only just begun and the looming Sunday feeling is still off in the distance. I love to take a little time for myself on a Saturday morning, it helps me to decompress from the work week, and one of the best ways to do that is with a fun craft project. I have a few celebrations on the horizon for friends and family and figured handmade cards would add the perfect personal touch. 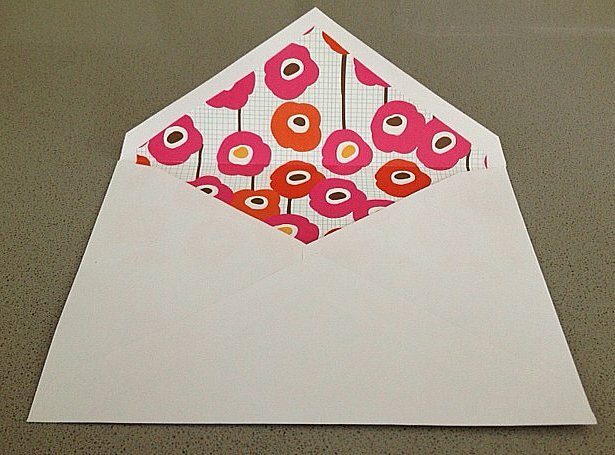 Next, trace the shape of the inner envelope flap on the backside of your decorative paper. Cut and glue it down inside the envelope. 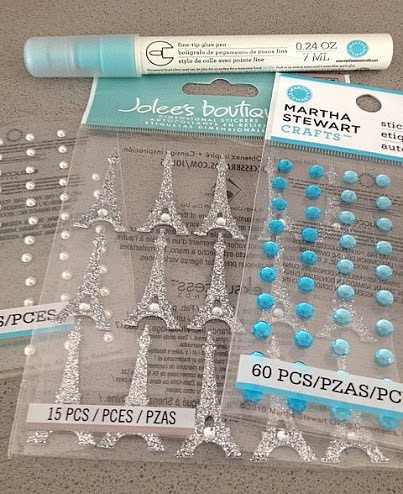 Finally, get creative with that glitter and glue! 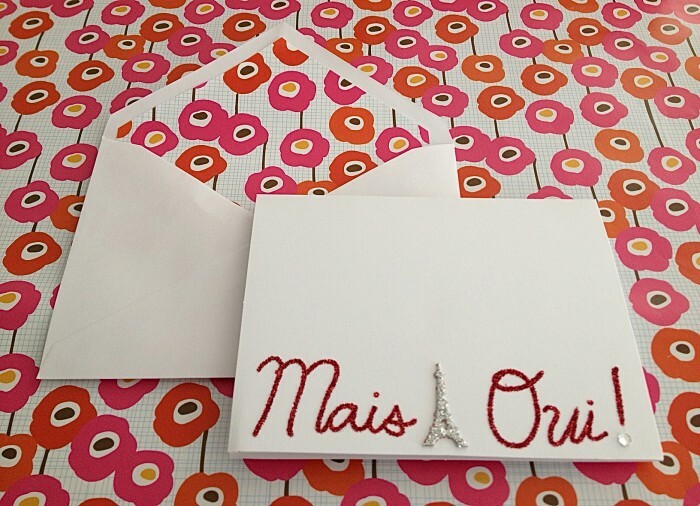 Write out your message with the glue pen and tap the glitter on top. Rhinestone stickers are an awesome addition and really finish off the look. The process is super simple, but the result is perfectly professional. I hope you’ll try it out! Je T’aime! I’m totes gonna try this!